> Is this a good idea? Absolutely! 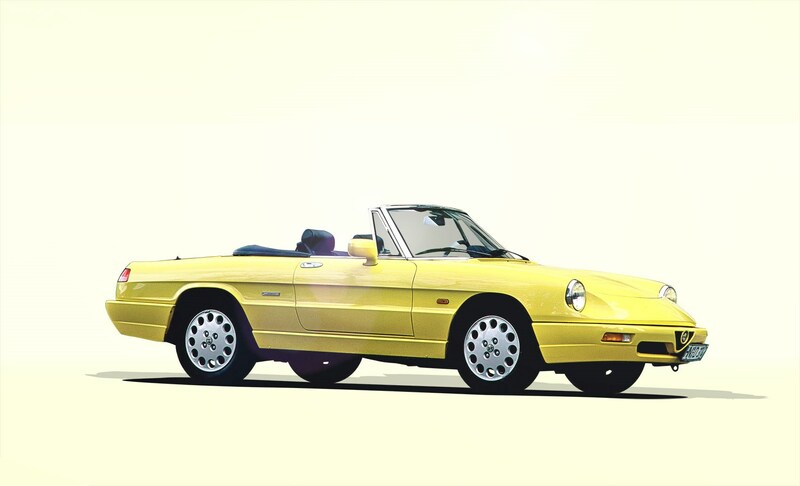 This is classic Alfa style with all the advantages of a modern car: gorgeous period looks backed up by power steering, fuel injection and air-con. It’s a really relaxed and comfortable drive. The Series 4 is not as sporty as the Series 2 but it’s still agile, responsive and a delight to drive. And you get two cars in one – a snug coupe and a delightful roadster. > How much? Prices range from £5k-£10k, but remember that the golden rule with Alfas is that you buy on condition not price. Blow your budget on one that’s been treasured, rather than a spending a lot less on one that needs a lot of work. > What’s going to break? The engines are pretty much bulletproof, and with regular servicing will easily clock up 100k miles. The roof is sound, with no leaks. A dodgy second-gear syncro means a new clutch (£1k) and a noisy diff will need replacing (£2k). The front jack points and the chassis rails from the front spring mounts backwards are susceptible to rust. All parts are available but repairs can be expensive. > Crippling running costs? Expect to pay between £250-£500 for a major service, but cars that are looked after and accrue around 2-3k miles a year are really inexpensive to run, no more than a family hatchback. > Is this a good idea? Unique styling, cosseting ride, superb handling and a wonderful V6 soundtrack. > How much? You’ll need £50k to go hunting, and a fair bit more to find a clean example. Condition and history is everything, remember. > What’s going to break? The SZ’s outrageous composite body panels are very tricky to find, and watch for corrosion at the back of the C pillars, and at the front and rear edges of the roof. > Crippling running costs? Mechanical parts are harder to come by, a service will cost around £500, and a cambelt change £650. > Is this a good idea? 246bhp V6, a sweet manual ’box and 0-62mph in 6.1 seconds. What are you waiting for? > How much? Clean and tidy examples are holding their value at £5k – don’t consider anything cheaper. And make sure it has had the Q2 limited-slip differential professionally fitted. > What’s going to break? Engines are good for 175k. Check for worn suspension, and make sure the water pump has a metal impeller. > Crippling running costs? You’ll get through tyres and fuel. Budget £250-£300 for an annual service.